More than 200,000 Icelanders are being called to renew the 63 members of the Althing (Parliament) on the occasion of the early general elections on 25th April next. The government that rallies the Social Democratic Alliance (SDA) and the Left-Green Movement (LGM), appointed on 1st February last and led by Johanna Sigurdardottir has been continuing the reforms started just over ten weeks ago. On 5th March the law on the pensions attributed to the President of the Republic, the members of the government, parliamentarians and judges at the Supreme Court were approved. They have repealed the special regime enjoyed until now by politicians and some high ranking civil servants– 633 people are affected by this new law. On 7th March the government adopted 11 plans and projects that are to lead to the creation of 4,000 jobs long term (6,000 in all if five projects are launched in the electricity and energy sectors). On 9th March the State took over control of the Burdaras Straumur Bank and the Savings Bank of Reykjavik (SPRON). The International Monetary Fund (IMF) which granted a 1.6 billion € loan to Iceland in October 2008 and which is still forecasting a 10% contraction in Icelandic growth and GDP in 2009 said that progress had been made. Prices fell by 0.59% in March. Unemployment remains high: 9% in March (3.3% in October). Johanna Sigurdardottir's government has committed to 30 types of action. The Independence Party (IP) violently protested against one of these – the constitutional reform – which planned for the immediate modification of the electoral law, a simplification of the use of the referendum and the creation of a constitutive Assembly comprising people who do not occupy a political post, and who are elected by universal suffrage. Since the Progress Party (PP) withdrew its support from the constitutive Assembly on 14th April due to the Independence Party's opposition and in order not to hold up the reform which is necessary in Iceland, the government parties decided to withdraw the reform plan for the time being. In addition to this on 29th March the government appointed Eva Joly, former judge and advisor to the Norwegian government in the fight against corruption and financial delinquency and candidate in France on the Europe Ecology list in the European elections, as an expert advisor to the Republic's prosecutor who is responsible for tracking the outflow of capital that preceded and followed the collapse, then the nationalization of Icelandic banks in October last. Eva Joly who has given up the post she held in Norway has 16 people at her disposal to undertake her mission. Geir H. Haarde, former Prime Minister (2006-2009), who resigned on 26th January, bid farewell to politics during the Independence Party's (IP) congress at the end of March. For the first time he apologized for his acts "that might in part have caused the collapse of the Icelandic economy in October." "We made mistakes. I take my share of the responsibility for these mistakes, it is natural to apologise," he declared. Bjarni Benediktsson was elected head of the IP 58.1% votes in favour 40.4% going to Kristjan Thor Julisson. Bjarni Benediktsson, a forty year old lawyer, comes from a family that is heavily involved in the political scene (his great uncle was once Prime Minister, 1963-1970). He said that the IP should be proud of its history and that rumours saying that the party had led to the country's ruin were absurd and that the party's political direction was still valid. The IP is requesting a reduction in household debt (notably those linked to housing loans) as well as company taxes together with a rapid reduction in interest rates. Well established amongst the inhabitants of the small towns that live from fishing and the transformation of fish, and who sometimes fall victim to the monopolies of large companies, Bjami Benediktsson is suggesting a reform of the legislation governing fishing. His aim is to create 20,000 jobs in the next term in office – if he is elected. The Social Democratic Alliance elected a new leader during its congress at the end of March. Unsurprisingly Johanna Sigurdardottir, Prime Minister, was elected almost unanimously (97.9% of the vote). Former Mayor Reykjavik (2007-2008) Dagur Eggertson is Deputy Chairman. Johanna Sigurdardottir hopes to maintain the alliance with the Left-Green Movement after the election on 25th April. A wish approved by the chairman of the Left-Green Movement, Steingrimur Sigfusson. According to Johanna Sigurdardottir it is better for the country "if the Independence Party remains in the opposition". She warned Icelanders that tax increases would probably not be enough to refloat the State coffers and that it would probably be necessary to undertake budgetary restrictions. She also said that she wanted to see Iceland become the best pupil in the world in terms of environment and sustainable development. On 7th March Sigmundur David Gunnlaugsson was appointed by the Progress Party to lead the Reykjavik list on 25th April. On 5th March he said he was ready to take part in a government coalition with the Social Democratic Alliance and the Left-Green Movement without excluding however an alliance with the Independence Party. The Progress Party, which has been lagging behind in the polls since January, is multiplying its proposals that might convince both the left and the right wing electorate. It is requesting a 20% reduction in household and company debt and is demanding a reduction in interest rates to boost economic activity and to avoid bankruptcies and dismissals, a decision that would require approval on the part of the IMF. The Liberal Party (LP) created at the end of 1998 by former Independence Party minister Sverrir Hermannsson and led by Gudjon Kristjansoon has focussed its electoral campaign on fishing. It is defending small ship-owners and is denouncing the monopolies of the small companies. Although it only had 4 seats in Parliament, 2 of its MPs have left it, one for the Social Democratic Alliance, the other for the Liberal Party. As for the "small parties" the Icelandic Movement-Living Earth, an ecologist party founded in 2007 by journalist Omar Ragnarsson merged with the Social Democratic Alliance. 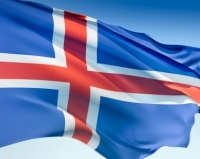 The Sovereignist Movement (L) which is against Iceland joining the EU withdrew from the race since its leaders believe that their lists have become ineffective since the Left-Green Movement and the Independence Party maintained their opposition to Iceland joining the European Union. The Citizens' Movement (O) led by Thor Saari is still running and is demanding the abolition of loans indexing and a vote for a reduction in household debts. Just a few days before the election, Europe has once more become a major stake in this general election. "We want the best for the Icelanders and the best way to achieve this is by starting negotiations for full membership of the EU and to adopt the euro as quickly as possible," declared Johanna Sigurdardottir. "If the present government remains in office after the general elections on 25th April next, I hope that the Green Left will allow us to work towards a rapid launch of negotiations," indicated the Prime Minister who hopes to start negotiations with Brussels immediately after the election. "The Social Democrats would like the referendum to take place as quickly as possible, in the autumn or at the same time as local elections which are planned for the spring of 2010," indicated Baldur Thorhallsson, political science professor at the University of Iceland. For the Independence Party joining the EU is not an urgent matter. The opposition party wants two referendums to be organised on this subject: firstly on the possibility of starting negotiations with Brussels and secondly on membership if an agreement is found between Iceland and the EU. The Left-Green Movement is against membership because this would infringe Iceland's sovereignty and reduce Icelandic fishing rights; they are requesting one referendum on the country's membership in the ilk of the Progress Party. According to the polls Icelanders say they support the opening of negotiations with the EU but a majority of them are against Iceland joining. The most recent polls say that the Social Democratic Alliance is leading in terms of voting intention (32.2% of the vote in the daily Frettabladid on 15th April, 29% according to the MMR institute and 30.7% according to Capacent Gallup, on 16th April). The Progress Party continues to lose ground and is forecast with only 10% of the vote and the Liberal Party is not even succeeding to achieve 1% of the voting intention. The Citizens' Movement may win one seat in Reykjavik where its head of list, film producer and actor, may very well attract voters. Finally the Movement for Democracy is due to win 2% of the vote. Finally the poll published by the newspaper Frettabladid reveals that 52.6% of Icelanders want Johanna Sigurdardottir to stay as head of government after the election on 25th April. 25.8% would prefer Bjarni Benediktsson and 11.5% Steingrimur Sigfusson.